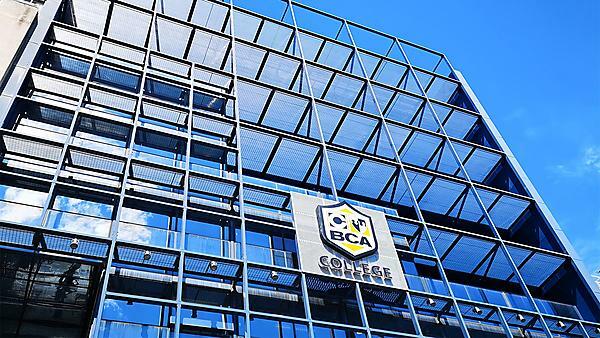 BCA Group is one of the largest educational institutions in Greece, offering bachelors and masters degrees in the fields of business management, maritime studies, hotel management and psychology. Founded in 1971, BCA has formed a level of quality and study conditions unique among Greek educational institutions. This is the reason why various UK higher educational institutions, such as Plymouth Business School, University of Huddersfield, London Guildhall University and London Metropolitan University, have trusted and collaborated with BCA in the course of its 45-year long history, through validating or franchising bachelor’s and master’s courses running in Greece. BCA was also one of the first educational institutions with branches in Geneva and Rome, and the first private college offering validated programmes in Greece from UK Universities through exclusive agreements. With over 1,000 students and more than 9,000 alumni, BCA has developed a balanced mix of curricula, combining both theory and practice. Each student has the ability to learn from successful professionals of the industry, receiving mentorship and guidance in order to gain the appropriate entrepreneurial mindset which lies at the core of the BCA philosophy. Gaining from thousands of years of specific expertise in the fields of maritime training and hospitality spirit, while also drawing on the entrepreneurial talent inherent in the Greek psyche, all programmes of study aim to create the visionary leaders that the rising global economy needs. 95, Poseidonos Blvd. & 1, Fivis str. BCA is delighted to announce its partnership with the University of Plymouth, for all its academic programmes starting September 2015. The University of Plymouth, “which aims to become the enterprise university”, is an ambitious, world-class institution and one of the largest universities in the UK with over 30,000 students and around 3000 staff. The University is officially a world class and award winning university. In the past year the University has been awarded the Queen’s Anniversary Prize, the highest honour that can be bestowed upon a British university. In the global 100 universities under 50 years of age, the University of Plymouth is in the top ten UK universities, and now ranks 50th in the Sunday Times league table of all universities. The University is committed to social responsibility and sustainability, and is one of the top five ‘green universities’ globally and the second greenest in the UK. The University of Plymouth is also one of the most active research institutions in the UK, a world-class research University, ranked 18 in the UK for research citations. Regarding maritime and shipping studies, the University of Plymouth along with BCA College, are among the very few educational institutions globally who offer and specialise in undergraduate and postgraduate shipping management education. With BCA’s leading reputation in Greece for teaching and learning and in partnership with the University of Plymouth, we are here to help you become a graduate distinguished by your academic credentials, together with a deep appreciation of sustainable enterprise. Furthermore, our new programmes aim to equip you with innovation and employability skills that will add real value to your CV. Moreover, through the curriculum students could study foreign languages (except the English language), which are essential qualifications in the globalised environment of modern businesses and facilitate the communication and negotiation skills.